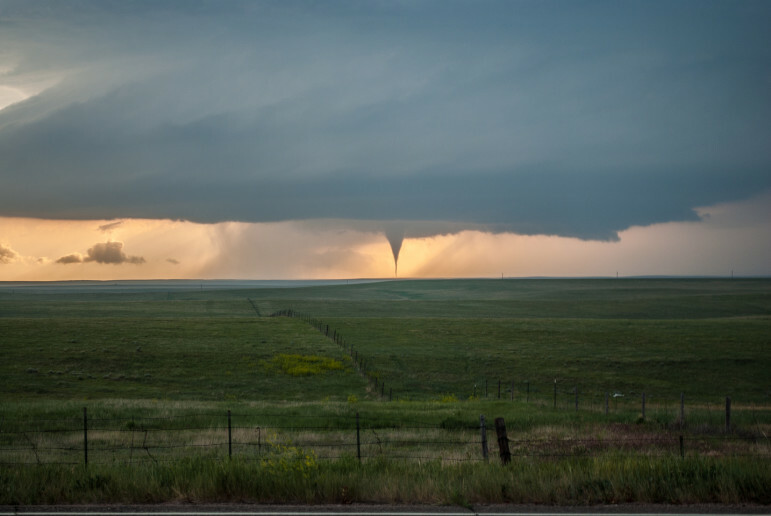 A tornado over the plains of western Oklahoma. OKLA. CITY – Oklahoma Watch will hold a free public forum on tornado and storm protection issues and advice featuring Meteorologist Gary England and Oklahoma Department of Emergency Management Director Albert Ashwood. The “Oklahoma Watch-Out” forum will be presented Thursday, March 31, from 6-7 p.m. at Will Rogers Theatre, located at 4322 N. Western Ave. in Oklahoma City. Those interested in attending are encouraged to register online and come with questions. As a new storm season approaches, weather experts point to a troubling climatological trend: Severe storms are increasingly likely to occur in Oklahoma during the shift from late winter to spring. That raises questions for residents and leaders: What else can local governments and the state do to improve public safety? Are there new ways to fund private, school or community shelters? What can individuals do beyond the obvious to protect themselves, and what does the research show? Are employers, landlords and builders doing enough? And, is there new technology that will sharpen forecasts of destructive storms and allow for earlier warnings? These are among the topics up discussion at the Q&A forum, which will be moderated by Oklahoma Watch Executive Editor David Fritze. Gary England is an internationally recognized meteorologist who pioneered innovations in weather technology and systems that are now common tools in the world of severe weather coverage, such as the storm time-of-arrival system; corner screen warning maps and cellular still picture-video transmission. In 1981, England collaborated with Enterprise Electronics to implement the world’s first commercial Doppler radar for direct warnings to the public. 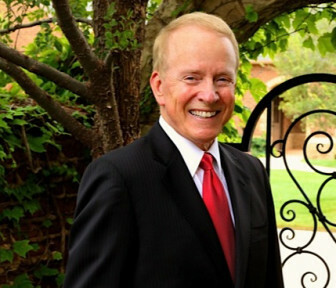 England was chief meteorologist from 1972 to 2013 for KWTV News 9, where he currently serves as vice-president corporate relations and weather development. He is also a consulting meteorologist-in-residence at the University of Oklahoma. England served as a forecaster for U.S. Navy aircraft early in his career, from 1957 to 1960. He holds a Bachelor of Science degree from OU in mathematics and meteorology and was awarded an honorary doctorate of humane letters in 2014. England, his weather team and News 9 were awarded an Edward R. Murrow Award for best in the nation in breaking news/weather for live coverage of a tornado outbreak. His accolades also include four Emmys and the Silver Circle Award from the National Academy of Television Arts and Sciences. At the National Tornado Summit in 2012, England received The Governor’s Award, and in 2013 he was inducted into the Oklahoma Hall of Fame. 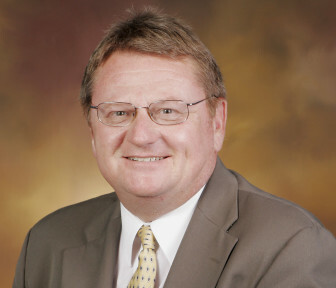 Albert Ashwood was appointed director of the Oklahoma Department of Emergency Management in August 1997, making him the longest-tenured state emergency management director in the nation. Ashwood has overseen the distribution and administration of more than $1 billion in federal and state aid following dozens of presidentially declared disasters, including the terrorist bombing of the Alfred P. Murrah Federal Building on April 19, 1995. Because of his experience with the Oklahoma City bombing and at the request of New York Gov. George Pataki, Albert spent two weeks at ground zero helping establish and implement debris removal operations after the Sept. 11, 2001, terrorist attacks. Ashwood was selected by former Homeland Security Secretary Tom Ridge to serve as a member of the National Response Plan/National Incident Management System State and Local Working Group. He represented emergency management officials nationwide as the group worked to enhance the ability of the United States to manage domestic incidents and emergencies. He served on the Federal Emergency Management Agency’s (FEMA) National Advisory Council, developed after passage of the Post-Katrina Emergency Management Reform Act of 2006 to advise the FEMA administrator on preparedness and emergency management issues. He also served as contributing author of the Heritage Foundation’s report to Congress on the issue of Homeland Security and as president of the National Emergency Management Association. Ashwood received a commendation from President Bill Clinton for his work in the Oklahoma City bombing. He was the first recipient of the Governor’s Humanitarian Award for efforts following the May 1999 tornadoes and received many citations for developing the “Oklahomans Can Survive” Safe Room Rebate Program. In 2013, he received the Lacy E. Suiter Distinguished Service Award for outstanding contributions to emergency management.